Bio-based wax esters derived from microbial oil have been evaluated as a novel raw material for the production of olive oil–based oleogel. The oleaginous yeast Rhodosporidium toruloides was cultivated in batch fermentation using very high polarity cane sugar as carbon source for the production of a total dry weight of 23.8 g/L with an intracellular microbial oil content of 34% (w/w). The microbial oil was enzymatically converted into oleyl and cetyl wax esters using non-commercial lipases. The highest oil to ester conversion yields for oleyl (94%) and cetyl (91.3%) wax esters were achieved at 40 °C and 50 °C, respectively. When limonene was used as green solvent in the esterification reaction, the high melting temperature cetyl wax esters were produced at 35 °C with a high conversion yield of 87.5%. Subsequently, the microbial oil–derived cetyl wax esters were used for the production of the olive oil–based oleogel. The evaluation of the physical properties (i.e., color, crystal morphology, texture, rheological, and thermal behavior) of the oleogel showed that it was rheologically and thermally suitable for applications in spreadable fat products. 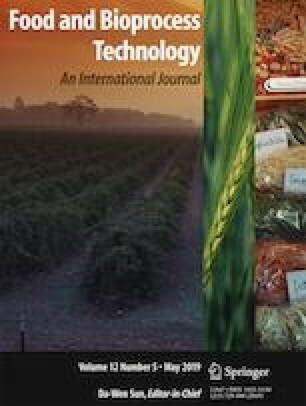 This study demonstrated that microbial oil derivatives could be used as novel bio-based raw materials in the preparation of oleogels with potential use in fat-based food products. The authors would like to thank Professor Julia de Macedo Robert from the Biochemistry Department in the Federal University of Rio de Janeiro (Brazil) for the contribution in LipB enzyme production, Dr Georgios Liakopoulos from the Department of Crop Science in the Agricultural University of Athens (Greece) for using the polarized light microscopy, Dr Athanasios Mallouchos, Mr. Emmanouil Anagnostaras, and the MSc student Mrs. Ioulia Chrysikou from the Department of Food Science and Human Nutrition in the Agricultural University of Athens for their contribution in the analysis of wax esters and oleogels. The authors also thank the Carlos Chagas Filho Foundation for Research Support of the State of Rio de Janeiro (FAPERJ) (Processo 202.713/16) for scholarship provision. Cipolatti, E. P., Pinto, M. C. C., de Macedo Robert, J., da Silva, T. P., da Costa Beralto, T., Santos Jr., J. G. F., et al. (2018). Pilot-scale development of core-shell polymer supports for the immobilization of recombinant lipase B from Candida antarctica and their application in the production of ethyl esters from residual fatty acids. Journal of Applied Polymer Science, 135(40). https://doi.org/10.1002/app.46727. Papanikolaou, S., Kampissopoulou, E., Blanchard, F., Rondags, E., Gardeli, C., Koutinas, A. A., et al. (2017). Production of secondary metabolites through glycerol fermentation under carbon-excess conditions by the yeasts Yarrowia lipolytica and Rhodosporidium toruloides. European Journal of Lipid Science and Technology, 119(9). https://doi.org/10.1002/ejlt.201600507.